Lucky veg whose green color symbolizes money. Yes. Is it necessary to overcook these greens to death? No. Only last week I emphasized this point to a friend responding to my planned lucky foods New Year’s dishes. I should note that I take preparing traditional Good Luck New Year’s Day foods so seriously that no matter how much or how many people I’ve cooked for over the holidays, no matter how late I’ve stayed up on New Year’s Eve, or even if no one is coming over, the discipline in seeing through these foods is critical toward ensuring the year ahead, otherwise, to me, it’s sort of like praying to God to win the lottery but failing to buy a ticket. Happy New Year 2017! 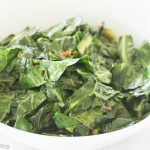 Collard Greens with Bacon were on my good luck menu and they are delicious with a gentle warming until just cooked fully through, while still maintaining their bright green color. Now I realize I’m packing here a recipe that in the first week of January contains bacon, and bacon grease, but not excessive amounts and a bowl of these, ahem, not overcooked greens, are a healthy and delicious vegetable to include in your mix, not to mention they have luck attached to them. Wishing you a lucky year ahead, and be sure to eat your greens. Cut bottom stalk off of collards, wash leaves well in cool water. Tear large leaves from center stem, cut leaves into bite sized pieces, place into a colander, rinse leaves again in cool water. In a large sized saute pan, cook bacon until browned and crisped, remove bacon to a paper towel covered plate. Reduce heat of saute pan with remaining bacon grease to low, tumble in onion, cook three minutes until just tender. Lightly dry collards with a paper towel leaving a bit of water clinging to the leaves. Topple collards into the pan using tongs to lift and move the collards all about through the onions and bacon grease. Continue to cook around ten minutes, or a little longer until leaves are cooked just tender through and no longer have a raw taste. Chop cooked bacon, stir into collards with salt, toss throughout, check seasoning, adjust to taste. Serve hot straight away. This entry was posted in Veggies and tagged Collard Greens, Collard Greens with Bacon. Bookmark the permalink. Post a comment or leave a trackback: Trackback URL. Such good flavors, Peggy. My Nana always cooked her greens with a piece of salt pork. My Mom still will throw a piece in with fresh green beans. She likes it. Happy New Year to you! Hugs! Hi Kelly, thanks much! I love this combination. 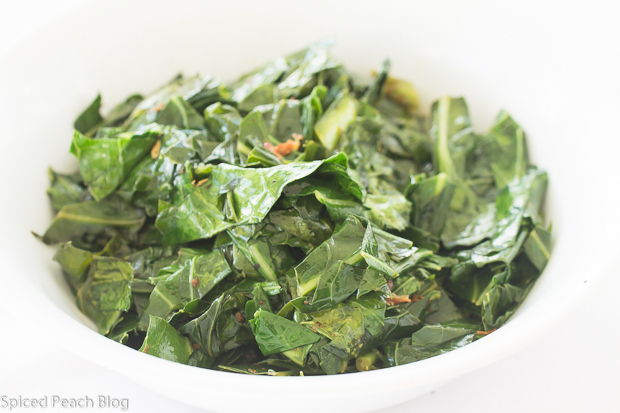 Cooking collards with salt pork is quite common, particularly in many southern traditions. Collards seem to me as a vegetable most frequently overcooked, and yet it has such a wonderful taste when still green and “just done.” Bacon and a touch of grease tend to provide a slight touch of sweetness, where overcooked greens sometimes seem to have a slight bitterness. I suppose it’s all in what one likes. Happy New Year! Hugs! Happy to see Ahora yesterday! Love collard greens. Used to love bacon before I quit eating all meat. Those were the days. I wonder if this would work with veggie bacon? Phil recently posted…Free Falling Face First into the New Year. Happy 2017! Hi Phil, collard greens are terrific and very nutritious. I’ll bet they would work fine with veggie bacon. There are so many creative vegetarian and vegan options today, I’ll bet there are some good ideas out there. If I come across any, or an idea to adapt, I’ll let you know! I bet this is delicious, the bacon must add a wonderful smokiness to this dish. Happy 2017! 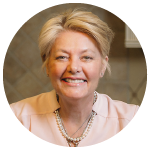 Hi Cheri! It is delicious, and besides the wonderful smoky touch, no need to overcook these delicious greens! These look delicious Peg and you know what they say- everything is better with bacon! I’m all about it. Thanks Meredith! When it comes to the collards I’m all about the combined bacon too!